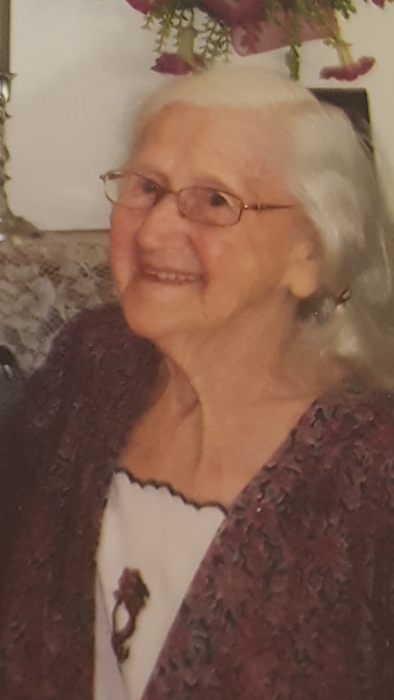 Mrs. Carlene Smithson, age 90, of the Ash Hill Community of Williamson County, died Monday, August 27, 2018 after an extended illness. Mrs. Smithson was born in Williamson County and was a daughter of the late Carl and Sally Henson Skinner. She was a homemaker and was preceded in death by her husband, Raymond Core Smithson, who died in 1991. In addition to her husband and parents, Mrs. Smithson was also preceded in death by a daughter, Carla Beasley; and great grandchildren, Jade and Gabriel Beasley. Mrs. Smithson is survived by three children, Ray (Debbie) Smithson, Ash Hill Community, Rhonda (Jerry) Melson, Murfreesboro, TN, Annelle (Ted) Waddey, Ash Hill Community; grandchildren, William (Amy) Beasley, Joey (Neva) Beasley, Amy Beasley Burns, Harvey (Andrea) Smithson, Jason (Cindy) Owen, Aaron Way; great grandchildren, Taylor Beasley, Samantha Beasley, Joshua Beasley, Seanna Beasley, Hunter Wright, Matthew Wright, Laura Wright, Lylah Smithson; great great grandchildren, Lennon, Halen, Violet and Silas. Family members will receive friends on Thursday, August 30, 2018 from 11:30 am until 1:00 p.m. at Lawrence Funeral Home. Funeral services will follow at 1:00 p.m. on Thursday from the chapel of Lawrence Funeral Home with burial to follow in Smithson Cemetery in the Ash Hill Community. William Beasley, Joey Beasley, Amy Beasley, Harvey Smithson, Jason Owen and Aaron Way will serve as active pallbearers. Honorary pallbearers will be Ernest Stanfill, Roger Fitzgerald, Billy Stanfield, Ted Waddey, Jerry Melson and Donnie Beasley.